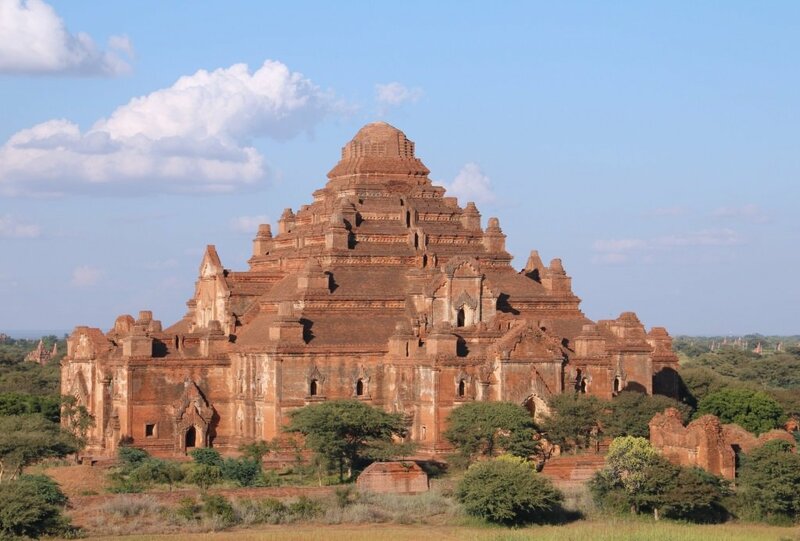 Bagan or Pagan was founded in the year 849. It was the capital of the Pagan empire. 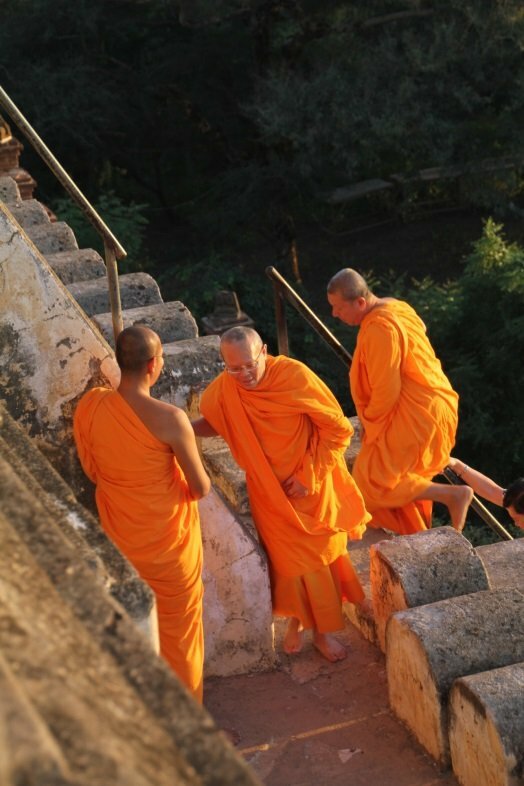 The most important religion was Theravada Buddhism. 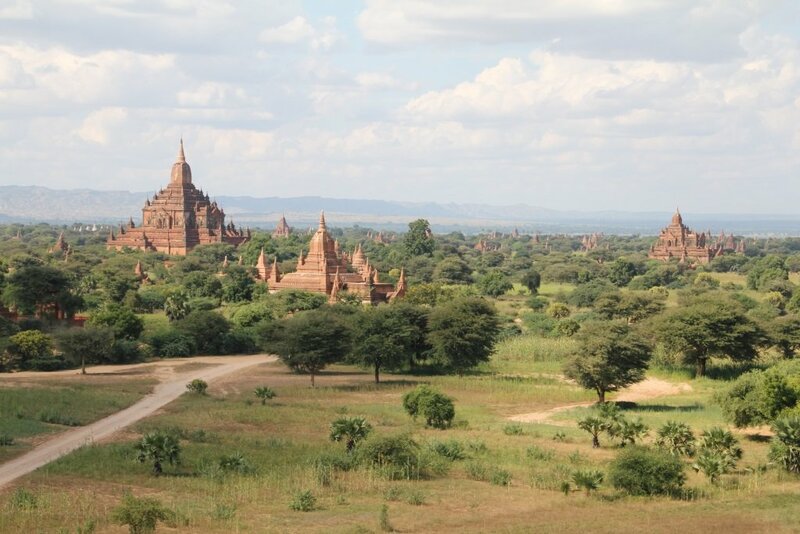 This resulted in the large number of pagodas, temples and stupas around this area. In the year 1287 the city and surrounded area’s got abandoned because of the fear of the Mongols coming. 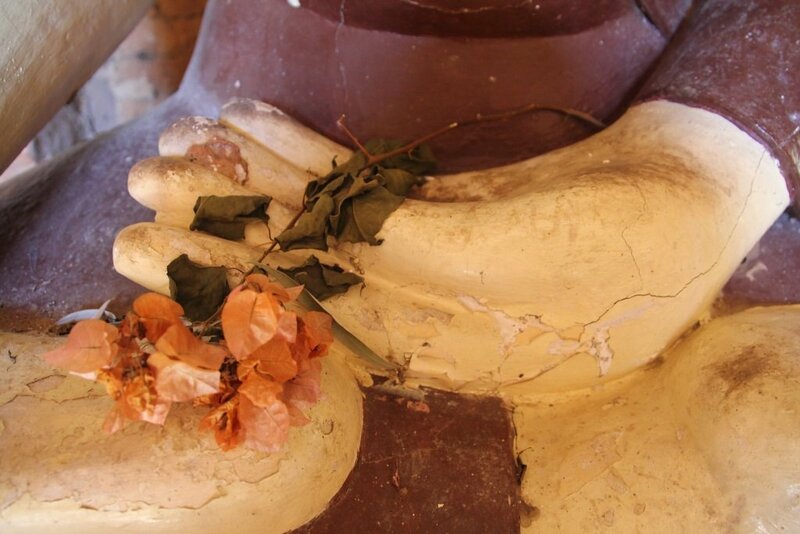 Maybe that’s why the stupas and pagodas remained untouched. Only nature influences caused damage which they now try to repair. 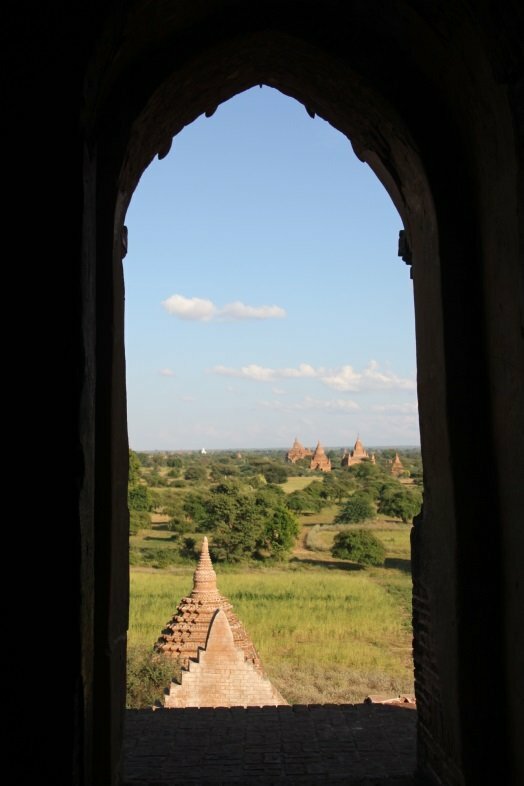 Nowadays Bagan is one of the most important touristic destinations in Myanmar. The site is on the world heritage list. And it might be even bigger than Angkor Wat in Cambodia. 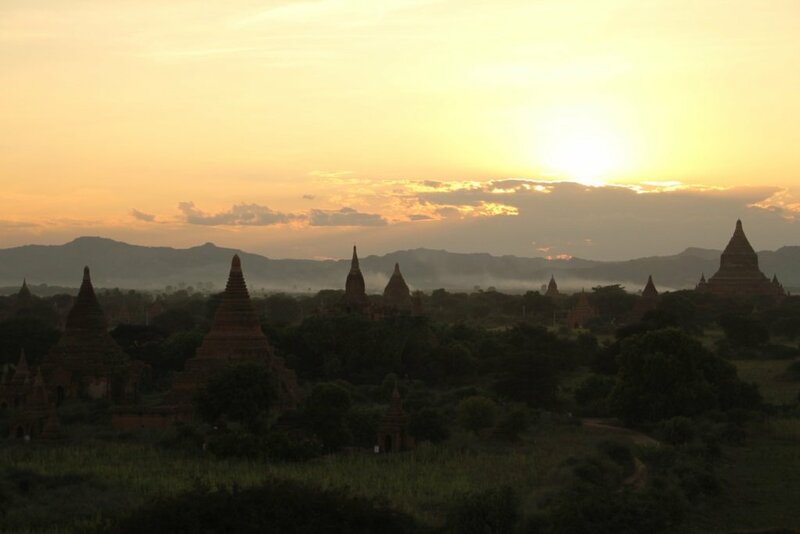 Bagan is less visited since there was a restricted policy for tourists and the internationalization. 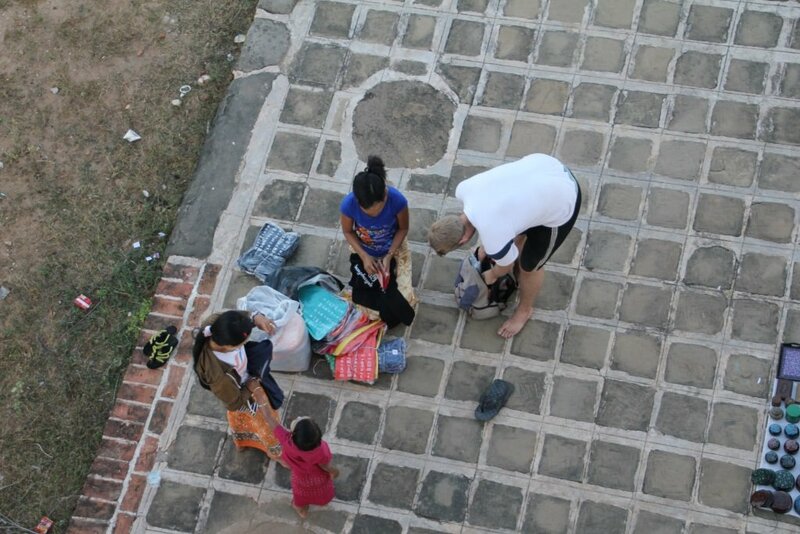 Luckily they now are less strict and it is getting more and more popular to visit. Since it was more easy to visit I decided to go there together with my brother Anton. Flight carrier Air Asia just had opened these flight route to Yangon. So it was an easy enter. Make sure you have your visa in your passport. You’ll still need that! You can easily arrange that at the embassy in your home country or for example in Bangkok. When you enter the archaeological zone, every bus will stop to let you pay an entrance fee. 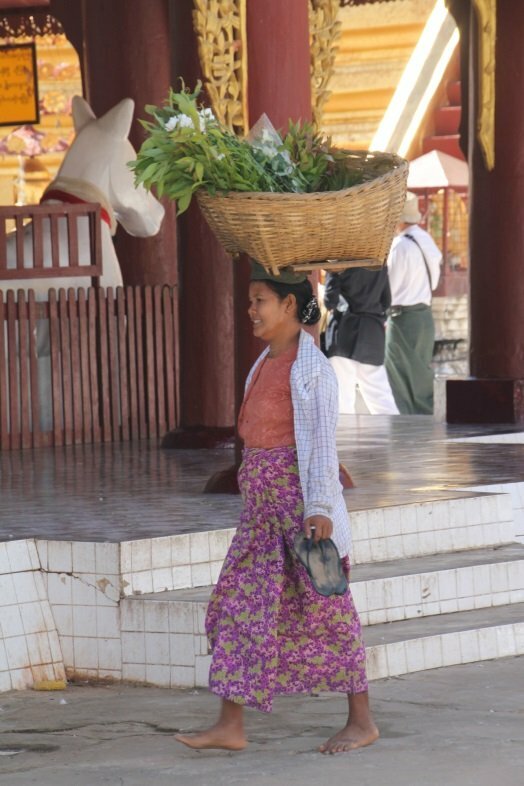 Once you have payed the 25000 Kyat you are freely to explore over 2200 temples. 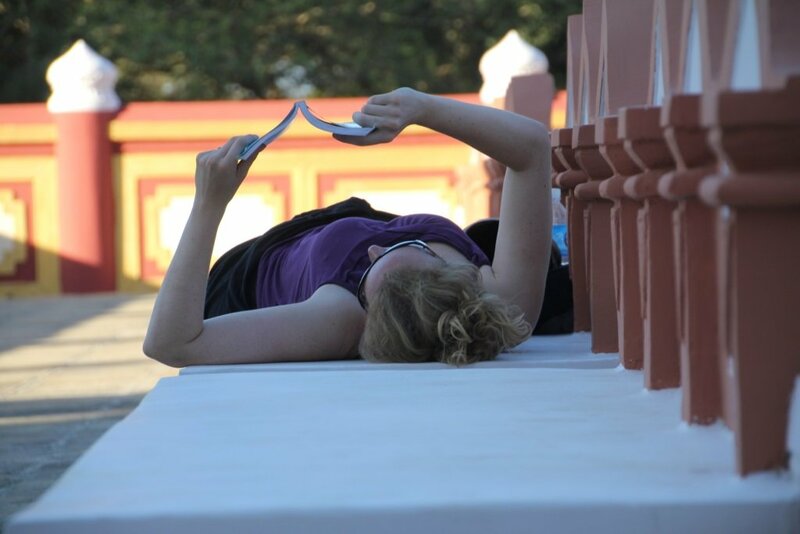 You can do this without a guide or you can rent a taxi or horse cart to lead you to the most important temples. 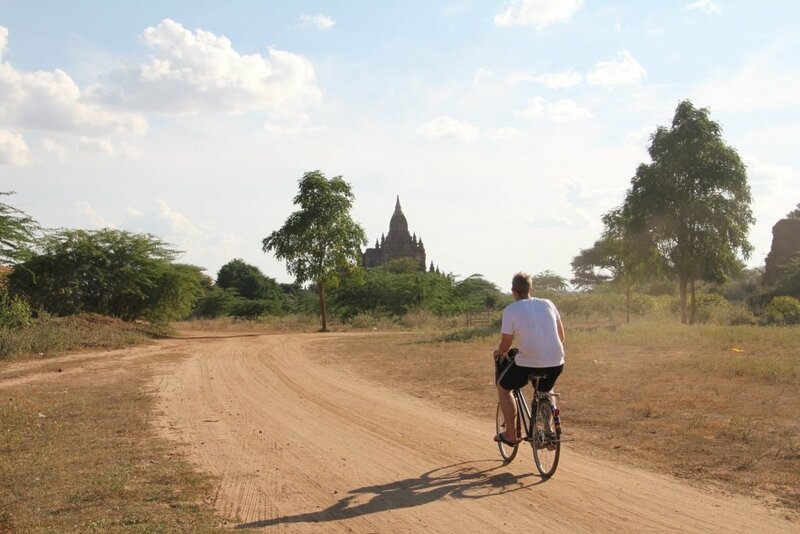 The best way to explore Bagan is with a bicycle. You can rent them for a low price (about K2000) per day. The roads are sand and dirt roads. But the flat landscape are easy to bike thought. Only the heat can be harsh during the day. So it might be come in handy to have a long rest between noon and 3PM. Make sure you’ll bring a lot of water. There where not many shops at the far end. Only at the beginning and at the most popular along the route. Driving with the bicycle get you to the most remote temples. You need to bike the small paths and dusty roads where no car or horse cart can come. 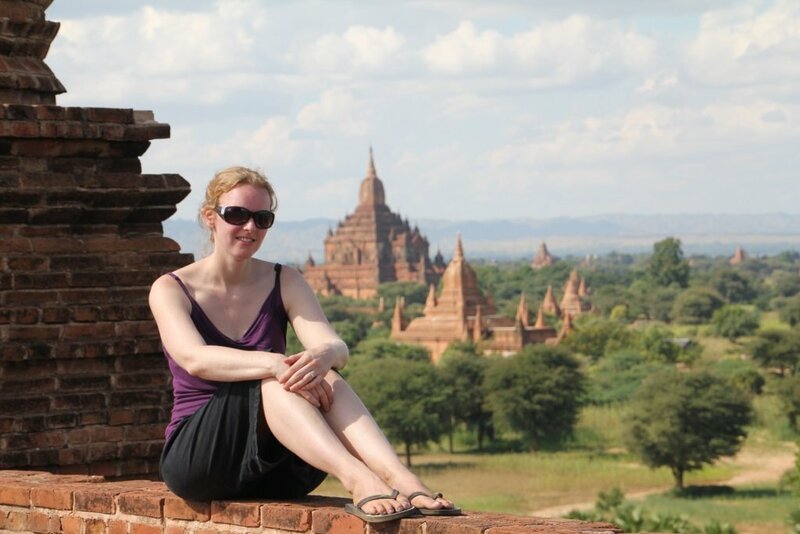 Even it was really hot and humid when I visited Bagan I really enjoyed my stay! 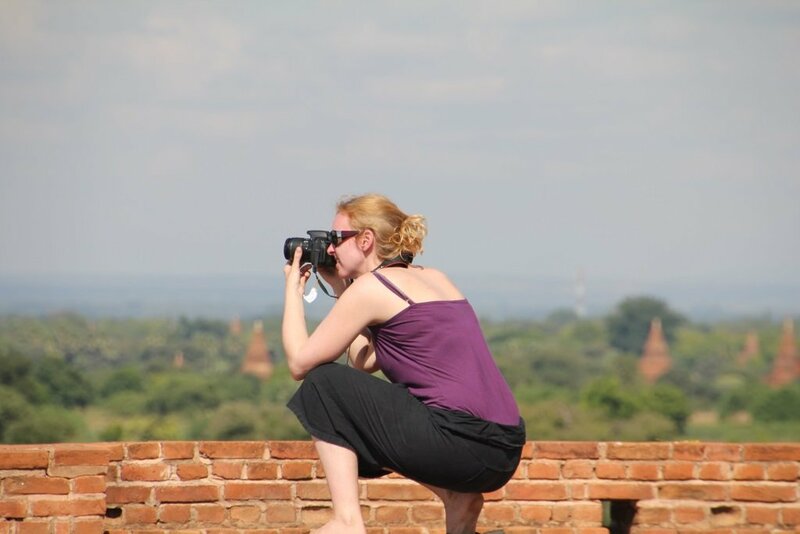 There is are so many pagodas to see and we were lucky to be the only visitors at the most pagoda’s and stupas. This made it more magical. You’ll need at least need 2 days to explore it, but even then you can’t see it all. What we did was biking to a temple. Climb it to the top and enjoy the view. From this view we could see new temples and decide which one we wanted to see up close. For us this was the best way, since the maps we got where not very clear, but this might have changed. Make sure you’ll have time to see at least on sunrise or sunset. Go to a high temple and wait till the sun goes down. Just enjoy the magical view! 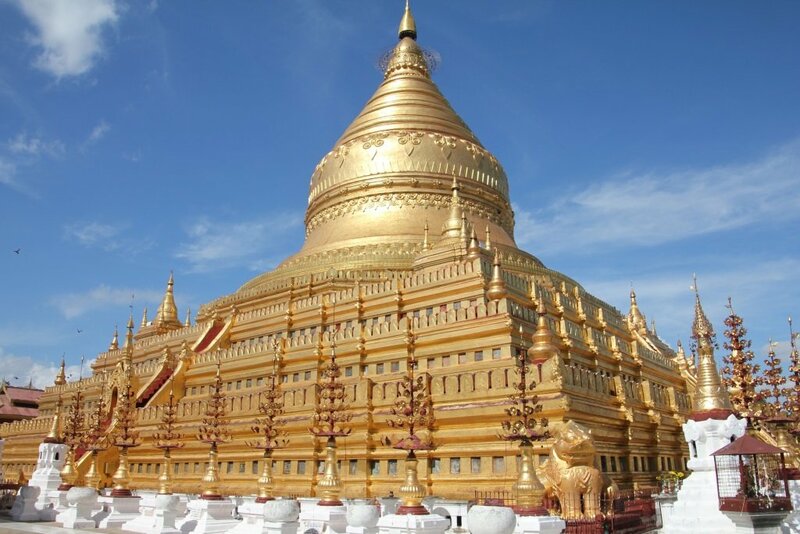 The most visited pagoda to see the sunset is Shwesandaw Pagoda. 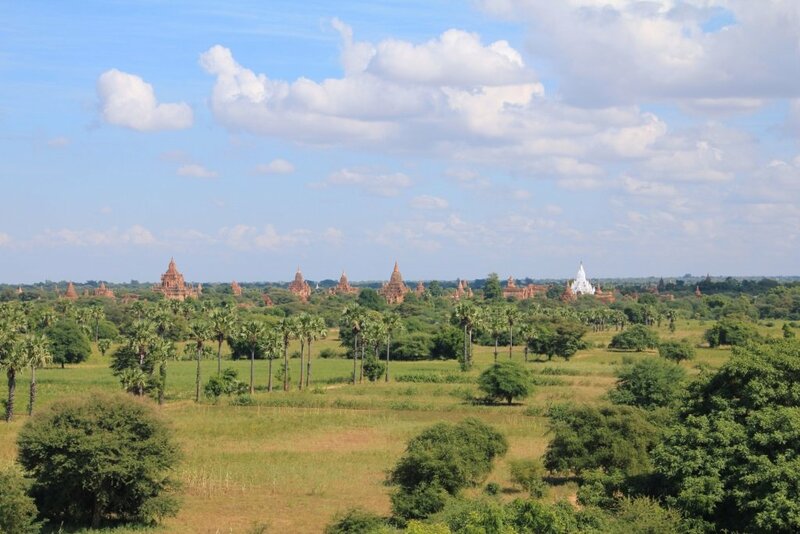 This one is the tallest pagoda in Bagan. It will be very crowded, so make sure you’ll go on time to have a good spot. Another way to see this magical site at sunrise is to explore it with a hot air balloon. Since the price was really high, I didn’t do this activity. But I read very good stories about this. You’ll need to arrange it on fore hand, since they only have limited space. 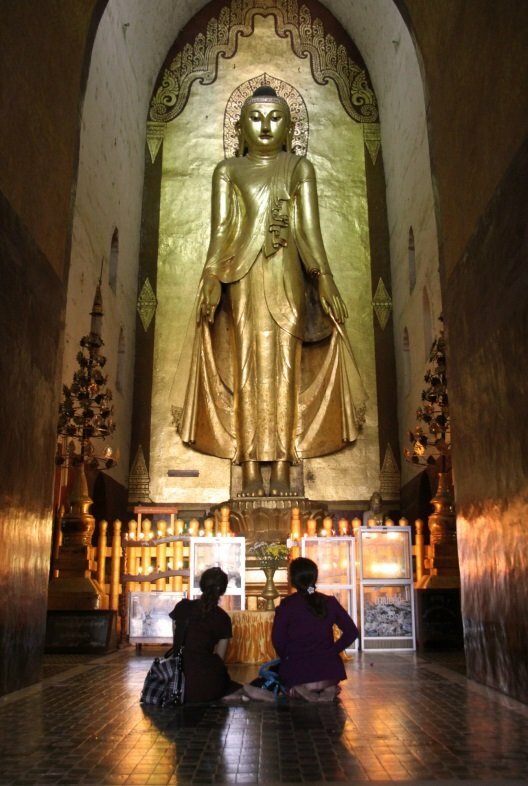 Because this old archaeological site still has Buddhism make sure you’re dressed properly! This means for the ladies cover your shoulders when entering a temple or pagoda, hot pants are really a no go, make sure your knees are covered. For the gentleman, a shorts covering the knees are fine as well as a t-shirt. 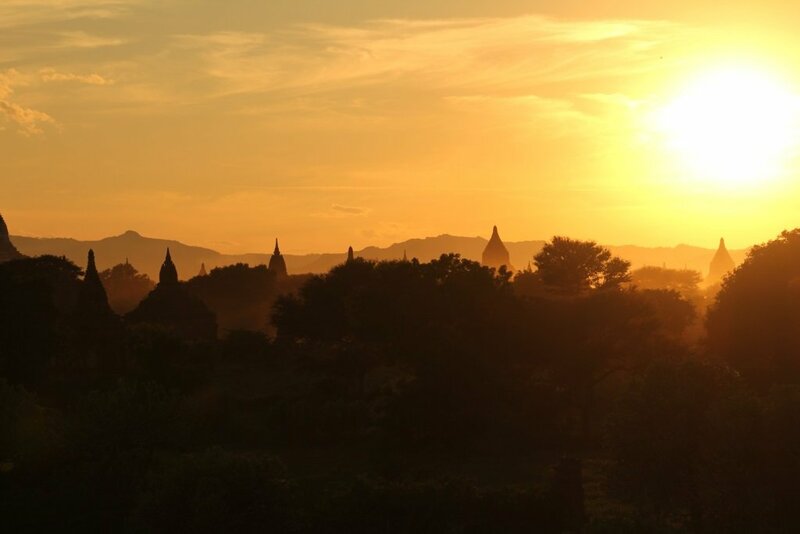 For accommodation you can stay in Old Bagan or Nyaung-U. Or somewhere between these two villages. Here you can also find restaurants and some bars. 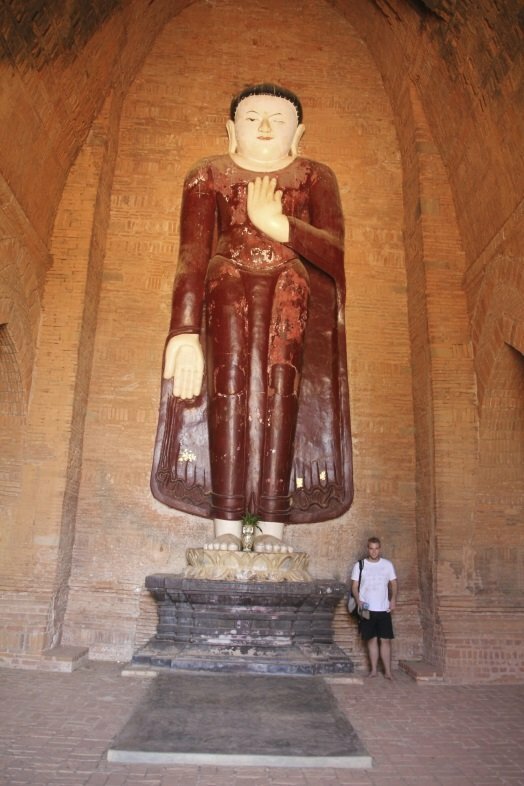 In Old Bagan you can visit the museum, which does not only is placed in a beautiful building, but does has a number of statues and paintings from the Bagan period. 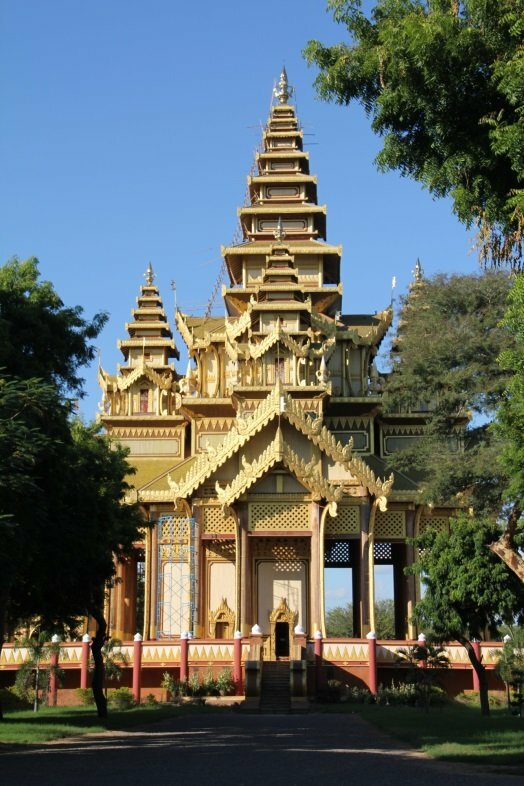 The golden palace is also worth a visit. Between those sites you can find more pagodas which are also nice to visit.